Easily add usage analytics to your deployed application with the new AppAnalytics component. Simply drag-and-drop the AppAnalytics into an existing VCL or FireMonkey app and immediately gain amazing insights into how your app is being used. 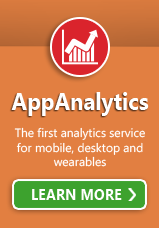 View your application usage information via a web-based dashboard by subscribing to the new app analytics service.